In his bestseller Wall and Peace, the graffiti artist and political activist Banksy stated that the city is like “a party where everyone was invited, not just the estate agents and barons of big business (2006).” City streets are like empty pages on which writers from different parts of the world can share untold and evocative stories and everyone can freely access this information. Street art includes different techniques: graffiti artwork, stencil graffiti, sticker art, wheat pasting, street poster art, and more. It is a provocative and dynamic form of expression and it can be considered as an important catalyst for positive social change; in fact, many artists, inspired by urban environment, used their art to convey political messages and share their views on the current social and economic situation. Moreover, street art has also a decorative role since it can contribute to the urban renewal and beautification. 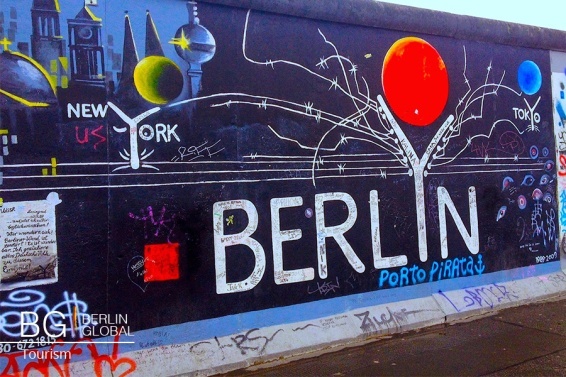 Berlin has been the world’s capital of graffiti and street art for more than 25 years; artists from around the world have been coming here since the 90’s. Many murals in Berlin are therefore living testimonies to the Cold war period. For instance, the East Side Gallery is one of the most important open air galleries in Berlin and has became the symbol of new freedom of expression after the the reunification of Germany. One of the best known graffiti paintings of East Side Gallery is the “Fraternal Kiss” made by Dmitri Vrubel that depicts the Soviet leader Leonid Brezhnev and East German leader Erich Honecker and reproduces a photography captured in 1979 during the 30th anniversary celebration of the foundation of the German Democratic Republic. Street art can be found everywhere in Berlin. Even international artists such as Bansky, Blu and El Bocho have worked here. If you are interested in street art, you should visit the districts of Friedrichshain and Kreuzberg; we recommend you to pop in the Urban Spree Gallery where you will find artwork made by Johannes Mundinger. The artist was born in 1982 in Offenburg (Germany) and, after finishing his studies, he moved to Berlin to take part in its street cultural life. If you want to find more information about street art in Berlin, there are also many street art tours as well as school and private tours. 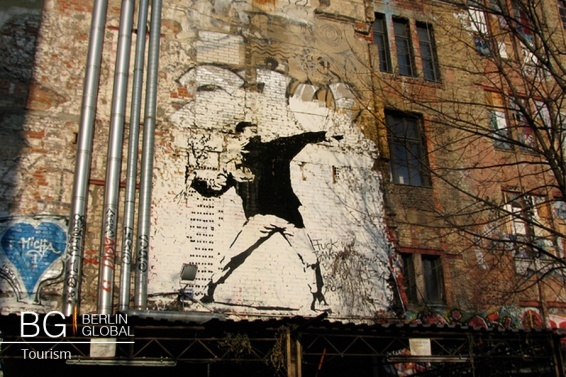 Many expert guides will show you the greatest and oldest example of street art that Berlin has to offer and maybe, if you are lucky, you will have the chance to see artists at work.